Soap operas are an important part of American Television. In fact, it could be said that they are the legacy side of American programming with several of them having been on the air for over 20 years. With this kind of longevity, characters being played by multiple actors or actresses over a period of time is a trait of the category. This trait has made soap operas a great opportunity for young actresses like Camila Banus to find stable long-term work as they build their reputation in the industry. As far as taking advantage of the opportunity goes, Camila Banus has done that to the best of her ability, she has not only appeared in multiple daytime television dramas, but she has been able to translate her performances to primetime television shows when she gets the opportunity. Let’s take a closer look at Camila Banus and how her career has been progressing since she joined the industry. Read on. 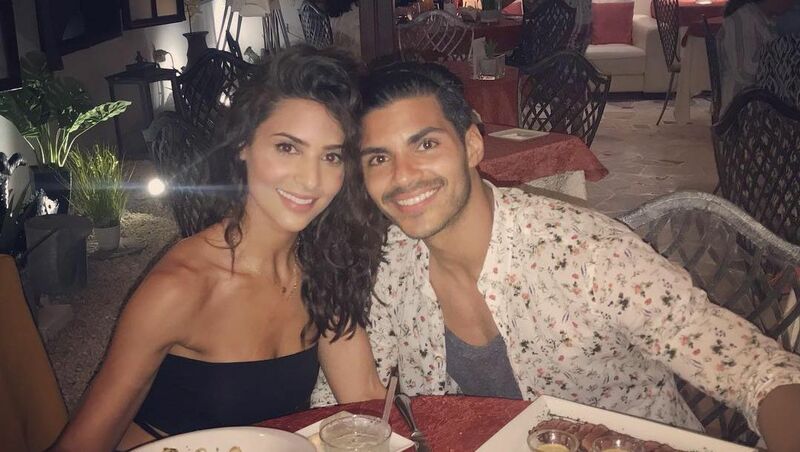 There are plenty of reasons to love Camila Banus, she plays the loveable character Gabi Hernandez on Days of Our Lives and she is a gorgeous looking woman. She is also talented and has managed to make the short list of soap opera actors and actresses who have an active career in primetime television. Camila Banus was born on the 22nd of July, 1990 in Miami Beach, Florida. to parents Jaime and Carmen Banus as the eldest daughter in the family which also consists of Gabriela Banus who is her younger sister and an actress just like her. As her name suggests, Camila Banus is of Latino origins and of Spanish and Cuban descent. The Miami born actress has a history in entertainment that goes back all the way to when she was a young child. She began her onscreen life by doing commercials and as she grew, she did more, including magazine cover shoots. The hunger and excitement from those roles prompted a desire to have a bigger role in Hollywood and through the courage and belief in herself, she sent an audition tape to New York and has been working as a full-fledged actress ever since. There is no information regarding her education, not even at high school level but as far as careers go, she hasn’t done too bad for herself. At the age of 15, she starred in Lenny the Wonder Dog as Rainbow. It was her debut appearance in a scripted drama and it kickstarted a career that has seen her appear in over 20 projects with multiple episodes to her name. Following her appearance in Lenny the Wonder Dog, she appeared in Dexter in 2006 and followed it up with a series of appearances in some TV shows before she got a chance to star in One Life to Live in 2008. One Life to Live turned out to be her first major appearance in a soap opera. In it, she played two characters, Lola Montez and Talia Sahid between 2008 and 2009. Over time, Camila Banus has starred in shows like Matador, Zeke and Luther, Hawaii Five-0 and many more. She began to star in two of her major roles as Gabi Hernandez in Days of Our Lives in 2010 and in the primetime show, Star as Nina in 2018. Camila has yet to walk down the aisle as a bride but considering how long she has been in a relationship, she might as well be married. After a couple of failed relationships, Camila Banus found love in the arms of Marlon Aquino. They began dating in September 2012 and have remained together ever since. Like Camila Banus, Marlon Aquino is also an actor and together, the couple has been building their career in the profession. As to whether the couple will be finally taking their longtime relationship to the next step by walking to the altar soon, it is difficult to say but one thing is for sure, they do love each other very much. At least according to their social media posts. Miami born actress, Camila Banus is a good-looking woman. Her terrific looks are contributed to by body stats like a height of 5 feet 6 inches and a body weight of 64 kg. As for her body size, she is on the leaner side, owning a body measurement of 34-25-42 inches for her bust, waist and hip sizes respectively. She has a Daytime Emmy nomination for Outstanding Younger Actress in a Drama Series for her performance in Days of Our Lives.